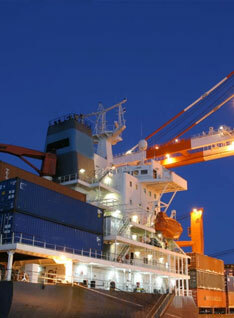 R B Shipping Services was established in 1993 by the Managing Director, Robbie Bishun and was later joined by his wife, Elaine Bishun as the Financial Director. Robbie comes with 47 years of experience in the shipping industry and Elaine with 34 years of experience in the financial sector. R B Shipping Services is a 100% black owned, owner managed business and together they have grown R B Shipping Services into the company that you see today. The company is BBBEE compliant and a Level 1 Contributor.